Whether you use Deem through your company, travel agent or chauffeured transportation provider, you’ll find Deem's mobile application for travel and expense management to be fresh, fast and uncomplicated. Start booking your air, hotel, chauffeur and car rental reservations within the context of corporate policies even while on the go! 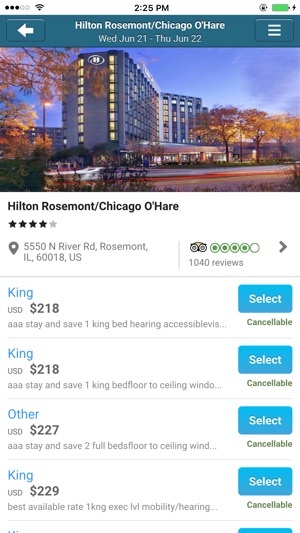 View and make changes to itineraries, capture and upload expense receipts and create and submit expense reports, all from the Deem mobile application. 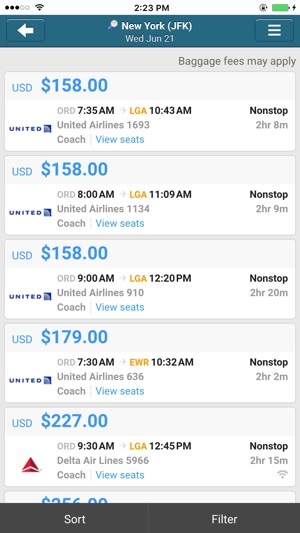 Flight alerts about delays, gate changes or cancellations keep you on track, and all your travel activity conveniently syncs to your work calendar, keeping you organized and connected. You don't need to wait until the end of your trip to start working on your expense reports. 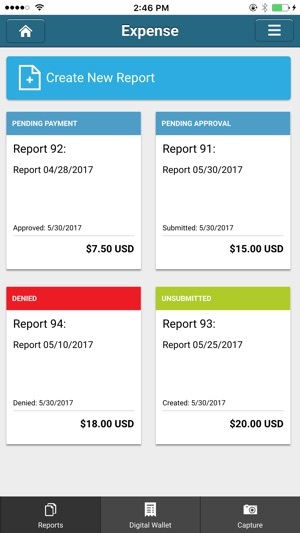 Easily capture receipts and store them in your digital wallet, then effortlessly create and submit the report via Deem for review and approval. 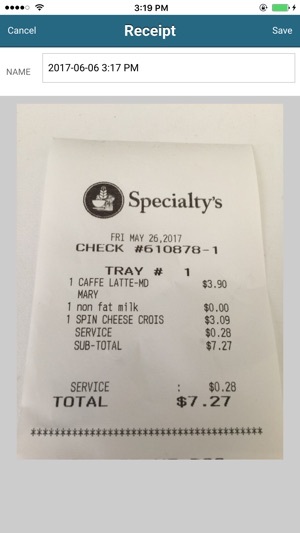 No more pockets full of crumpled receipts, just snap it and trash it. Managers can review and approve expense reports, ensuring company policies are enforced and your employees are reimbursed in timely fashion. 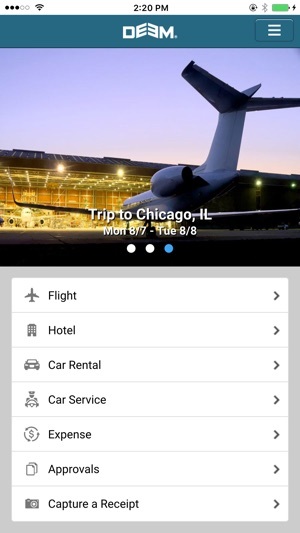 Deem's latest mobile app has everything you need to plan and book a trip. It's fast and easy to use, it links to your calendar and it reminds you when you need to check in or add a hotel to your booking. I wouldn't travel without it! If your company hasn't signed up to use Deem you need to get them on board. The app has stopped working with no updates available. Fingerprint recognition would make signing in much easier!! Copyright © 2019 Deem, Inc. All rights reserved.